I generally have a difficulty time trying to describe myself, but if I had to I would say that I'm a fairly equal measure of playful and hard-working. I think that my work tends to take on my more serious attributes whereas, in person, there is no hiding my Peter-Pan-meets-Santa-like personality. I love to laugh and have been known to cause others to laugh simply because I was laughing. I would love to work in a place that felt like a playground for the mind; where if a pun or two were dropped it would more likely cause a chain of puns and/or laughter as opposed to the guttural groan and eye roll. 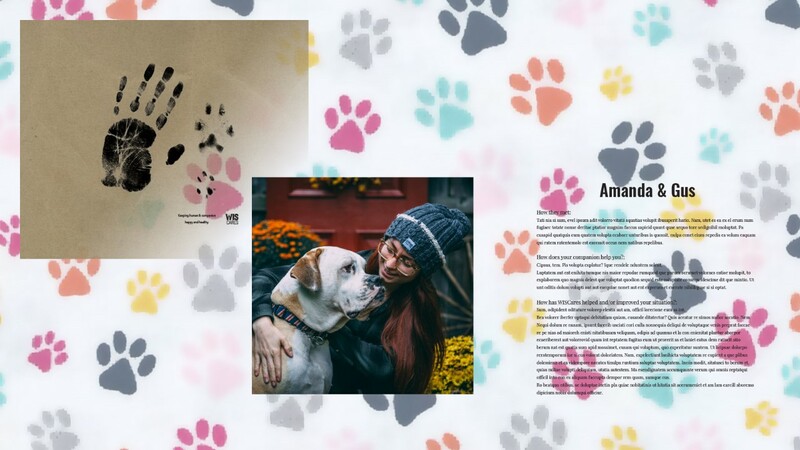 For this project I really wanted to connect potential clients/donors to the WISCares program that helps people with alternative living situations maintain a lasting and healthy relationship with their companions. Many of the clients are more likely to put their pet's needs above their own and WISCares helps to care for the owner and the animal. This is a mockup of what could be a real brochure with real stories from the clients that participate in the WISCares program. Programs: Adobe Photoshop, InDesign, and Illustrator. 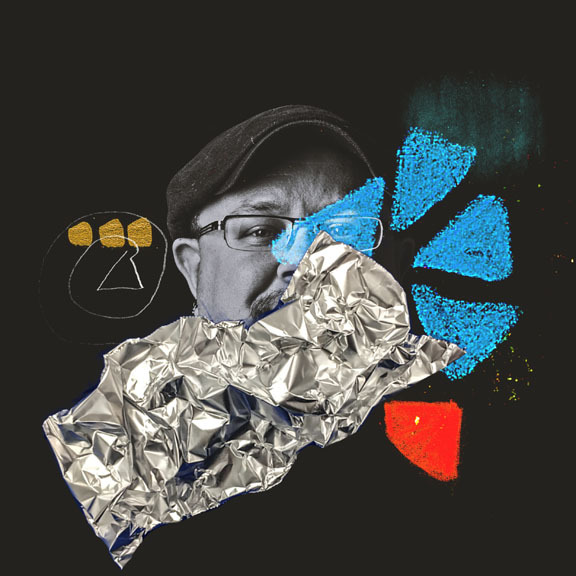 This is my the video for a different self logo. While I am making another one for my current logo, I just like the way this one moves and the colors. I used Adobe AfterEffects to create this video. The idea behind the project was to redesign the label for 3 different flavors/scents/types of product with the same line. 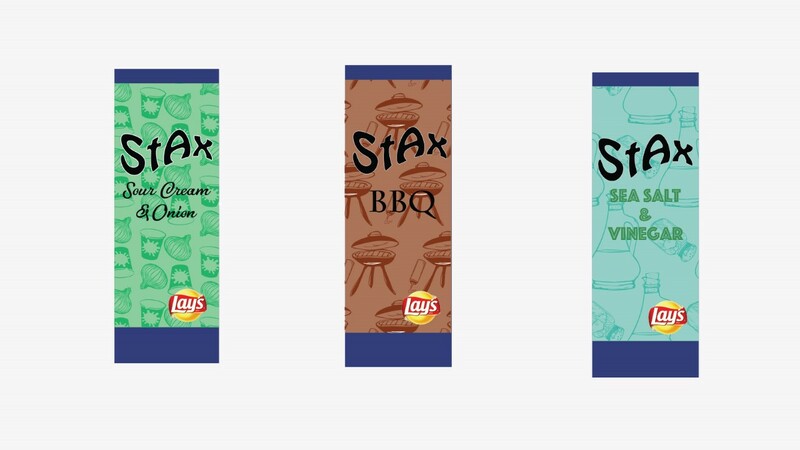 I chose Lay's Stax because I thought the original packaging was uninteresting to look at didn't feel like it went with the product itself. I used Adobe Illustrator mostly for this project. 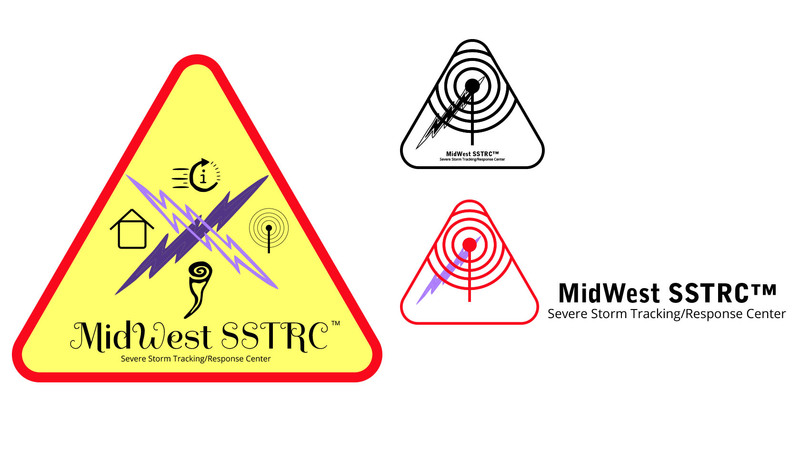 This was the most recent Logo in a day challenge that is put together by the Creative Art Collective group at Madison College. This semester, they were able to find a client that was unique to other clients in the past. The challenge is to create a full and potentially complete logo for a business within a single day. We were given a mood-board and a brief and beyond that everything was left to our imaginations.